Parents come to your child’s regular class. At this MANDATORY meeting, we will go over all the information that you need for the Spring Showcases including dates, times, hair, make-up, costumes, advice, tips and tricks! If you are unable to attend your child’s class, see a staff member to schedule a different time that week. "All About Parents" Booklet from 2019! Everything you need to know about Spring Showcases, organized and easy to read! Miss Kelly talks about Spring Showcases! Here is much of what we discussed during "All About Parents Week." Watch the video if you missed the informational meeting! 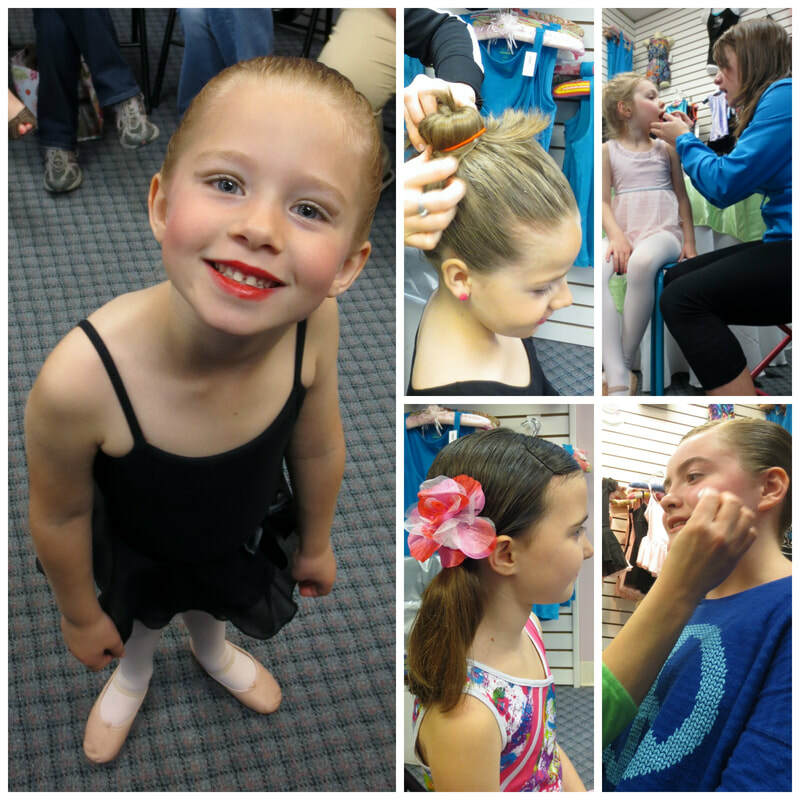 Stage Hair & Make-Up Tutorial!